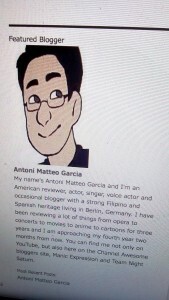 I know this was a few days ago, but I am very happy to be a featured blogger on Channel Awesome. I will definitely make more content for you all and take care. Congratulations Antoni. You deserved it due to your neverending effort. ?